Strong friendships, refined public speaking, exceptional problem-solving and effective research strategies are a few of the many benefits, which result from participating in competitive middle school debate teams. As members of a debate team, students can pursue excellent opportunities to sharpen a host of life skills that extend well beyond high school and college. Fairmont has a proven track record of helping students harness these distinctive qualities and achieve significant accomplishments. 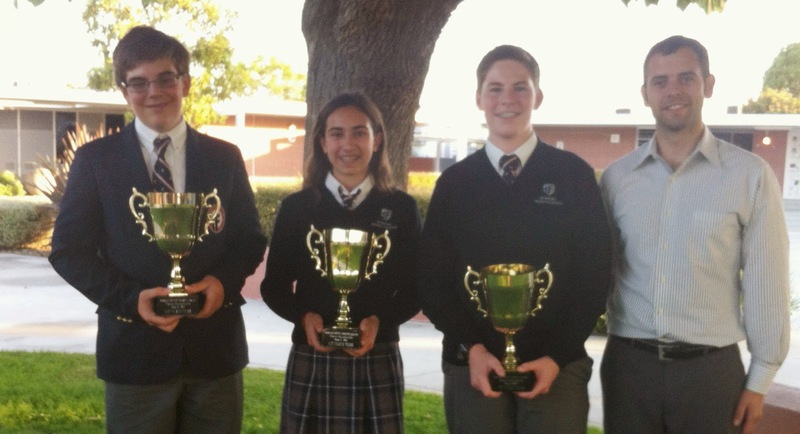 Last year, Fairmont students finished among the top 32 debate teams in the nation and achieved notable success in major Orange County Debate League Competitions. Students with polished debate-related skills are destined to stand above the crowd. Mastering disciplines such as research/analysis of data, the articulation of theories and the persuasion of complex subjects give students a firm foundation of confidence to take on the world. These skills are valuable for obtaining scholarships, entering a highly respected college, and later on, fulfilling career advancement goals. Along with these highly respected attributes, students also enjoy making new friends, traveling to debate tournaments and building a lifetime of good memories. Participating on a Fairmont Debate Team offers many rewarding experiences. For more information, please contact Middle School Debate Coach Ben Hughes (Fairmont North Tustin Campus) at bhughes@fairmontschools.com.